Our students explore every subject through the arts, even math and science. They stay engaged in learning because our teachers know how to link creativity with core academics. With benefits like a classroom kiln for clay pottery and a full dance studio, students benefit from a full, hands-on approach to the arts. Special Education Services are provided at Four Seasons A+ in a multitude of ways: a special education resource room/staff, Occupational Therapy, Speech/Language services, and social work services. All sorts of music finds its home at Four Seasons. We sing and play songs from every corner of the planet. All Four Seasons students are dancers. From that first step through the door, any child can make a dance, and any movement that child does can be used in a dance. Heidi George is the principal of Four Seasons. She first began working with Saint Paul Public Schools in 2002 and has served most recently as assistant principal at Farnsworth Aerospace Magnet. 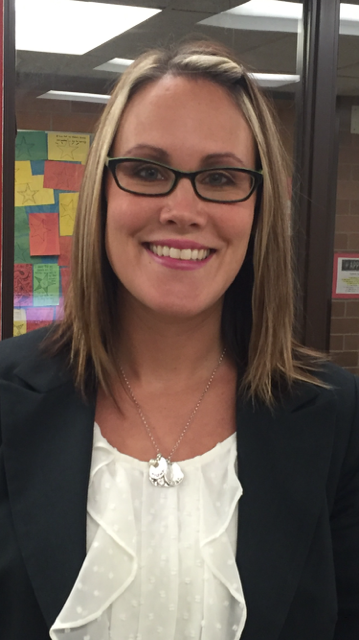 Ms. George wants to create strong, meaningful relationships with students, families and staff members. Four Seasons A+ Elementary 318 Moore St. Saint Paul, MN 55104 Phone: (651) 290-7595 Fax: (651) 293-6575 Hours: 8:30 a.m.-3 p.m.
To find out if your bus is running late, please call Transportation at 651-696-9600. For questions related to bus changes, contact Jill Wallace at 651-290-7595.